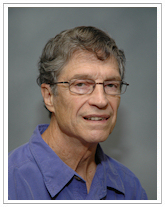 Dr. Hebard received his Ph.D. at Stanford University in 1971. He came to UF in 1996, after spending most of his professional career as a member of the technical staff at AT&T Laboratories. Dr. Hebard’s research interests are focused on the fabrication and characterization of thin-film structures and are based on the recognition that unusual physical phenomena occur in restricted dimensions and at interfaces. Systems under study include metals, composites, semiconductors, dielectrics, magnetic films, superconductors, complex oxides and carbon-sixty molecular monolayers.